This month, ArtSpeak is honored to welcome Bill Rasdell: Photographer, Educator, and Digital Artist. Bill is a proactive member of the Indianapolis art community, and is one of the cornerstone artists of the Harrison Center for the Arts! He also travels extensively around the world, using photography as a means to investigate immigration in African cultures. ArtSpeak: Live with shhhhh...it's a secret! This June, ArtSpeak is excited to welcome a dynamic duo that will be revealed soon! ArtSpeak explores art, beauty and creativity through intimate conversations with creators. The featured guest will tell their story by sharing some of their most personal pieces, and how those pieces have shaped them as an artist. The event is FREE, and location details are to come! 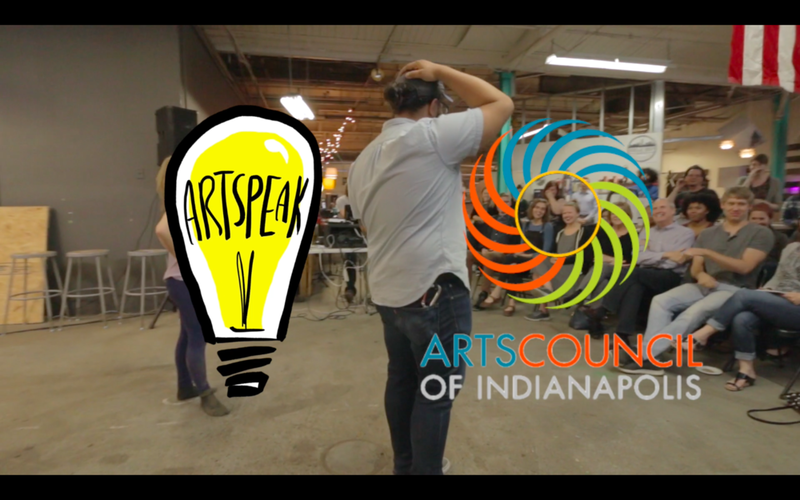 We're excited to announce that we're partnering with the Arts Council of Indianapolis to host a mini ArtSpeak at their Artist Industry Night. Click the link below to register for the event! This May, ArtSpeak is excited to welcome dancer, Audrey Robson! ArtSpeak explores art, beauty and creativity through intimate conversations with creators. The featured guest will tell their story by sharing some of their most personal pieces, and how those pieces have shaped them as an artist. The event is FREE, and will be held at Ruckus Makerspace. This April, ArtSpeak is excited to welcome painter, Courtland Blade! ArtSpeak explores art, beauty and creativity through intimate conversations with creators. The featured guest will tell their story by sharing some of their most personal pieces, and how those pieces have shaped them as an artist. The event is FREE, and is held monthly at Rabble Coffee. This March, ArtSpeak is excited to welcome singer-songwriter and Joshua Powell & the Great Train Robbery front man, Joshua Powell.